Today's fall schedule is really about a new block on Nick Jr. Nickelodeon is celebrating momkind one funny moment at a time with the launch of NickMom, the new primetime, ad-supported TV block bowing Oct. 1 and re-launching on the Web at www.NickMom.com. The TV comedy block will feature a mix of original long- and short-form programming, including talk shows, stand-up and sketch comedy, docu-series and more. Additionally, NickMom has greenlit 13 episodes of a new docu-comedy TV series, My 63 Moms, which will be added to the block's rotation in Q1 2013. The four-hour NickMom block will air nightly on the Nick Jr. channel from 10pm-12am (ET) and replay from 12-2am (ET). The NickMom TV block will launch with four original series spanning sketch comedy, talk, docu-series and stand-up genres: Parental Discretion with Stefanie Wilder-Taylor, MFF: Mom Friends Forever, NickMom Night Out and What Was Carol Brady Thinking?, with additional programming rolling out in 2013. Of course our main focus will be What Was Carol Brady Thinking?. On that series, here's the story of a lovely lady - who somehow kept six kids, a husband, a housekeeper and a dog in perfect order with nary a complaint. What Was Carol Brady Thinking? 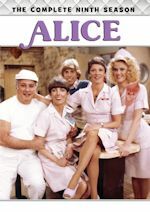 (26 episodes) goes inside the mind of one of the most iconic moms of all-time through graphic overlays on top of the original The Brady Bunch series, allowing viewers to read Carol Brady's thoughts throughout each episode. This NickMom twist on the classic series is executive produced by Jim Burns (MTV Unplugged) of Top Dog Incorporated. 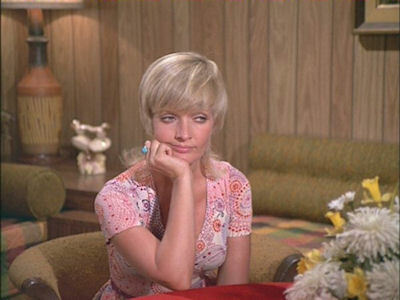 A mother and hero to millions, Carol Brady has been considered the iconic 1970s housewife. 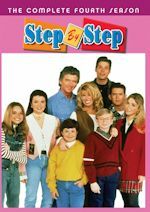 The mother of three children from a first marriage, Carol became stepmom to three boys when she married Mike Brady; soon she was charged with the task of helping the group somehow form a family. Her interests include singing, forming bands with her children and solving family problems with incredible efficiency. Other series of note to us is NickMom Night Out (26 episodes), a stand-up comedy series that takes moms out for a night at the comedy club from the comfort of their couches at home. Featured hosts include Tisha Campbell-Martin (LA edition), Judy Gold (NY edition), Caroline Rhea (Orlando, Fla., edition), and Bonnie McFarlane (Chicago edition). The series spotlights the chaos and hilarity that comes with being a parent. NickMom Night Out is executive produced by Bob Mittenthal (Double Dare). Zach Braff (J.D. from Scrubs) will guest star in an upcoming episode of TV Land's hit sitcom, The Exes. Braff, best known for his work on the long-running comedy, Scrubs from ABC Studios, will be reunited with on-screen/off-screen best friend and former Scrubs co-star, Donald Faison (Turk on Scrubs). The two last appeared on television together in the hospital-set sitcom in 2010 during its ninth season. On his episode of The Exes, which airs Wednesday, August 29 at 10:30pm ET/PT, Braff will portray Chuck Feeney, a professional tennis player client of Phil's (Faison). Though notorious for being a ladies' man, Chuck turns out to be more of a "man's man." Braff can next be seen in the Disney feature Oz: The Great and Powerful, opening March 2013. 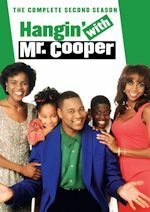 The Exes revolves around divorce attorney Holly (Kristen Johnston), who recently introduced her newly-single client Stuart (Basche) to his new roommates – ladies' man Phil (Faison) and homebody Haskell (Wayne Knight), who share an apartment which Holly owns. They're still attempting to adjust to one another's quirks and annoying habits, but Holly is there to help avert any disasters – or in some cases, cause them. Meanwhile, Holly's assistant, Eden (Kelly Stables), doesn't exactly let professionalism get in the way of prying into her boss's dating life – or lack thereof. 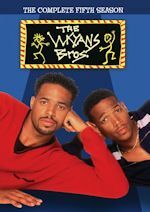 The Exes airs on TV Land on Wednesdays at 10:30pm ET/PT immediately following original episodes of The Soul Man at 10pm ET/PT.